The Obamacare Alternative You Have Been Waiting For!! The Affordable Care Act, also known as “Obamacare” has really changed the healthcare system in America. While it is the law of the land, many Americans are forced to choose between the health care law, which requires you to have health insurance and their religious or moral beliefs. With the new ACA compliant programs, many are concerned with a portion of their premium going to funding “voluntary sterilization and abortions.” Others have chosen to not purchase insurance due to costs. Others have chosen not to buy it because they prefer to take a holistic approach to their health care. Those who choose to opt out are subject to a “tax” or penalty for not purchasing insurance. Many Americans have turned to purchasing short-term plans. These were originally designed to be a like a bridge plan for when you were between jobs, or often times there is a 90 day waiting period for your insurance to kick in when you start a new job. Insurance carriers depending on the state now will write these for between six and twelve months. The plans are at a lower premium and are more catastrophic in nature. Because short terms do not include the ten essential benefits that are required by the ACA, those who purchase short-term plans are still subject to the tax for not having what is called a “Qualified Health Plan” or “QHP.” Some Americans have turned to purchasing indemnity plans or limited benefit plans. These plans pay a fixed amount for each type of service. The advantages other than costs are that if the indemnity benefit for a service says $4500, and the cost of the service is $4000, the policyholder gets a check back for $500. The disadvantage is the same thing. If the benefit for a service is $4500 and the fee for the service is $5000 then the insured is responsible for the difference. These plans also are not considered a Qualified Health Plan, so the tax applies here as well. There is also no funding for sterilization on these types of plans. Another option people are turning to are called Christian Health Sharing Ministries. These plans are NOT considered Insurance but are EXEMPT from a penalty. The membership in these types of plans has doubled since the inception of “Obamacare.” On these types of plans the members “share” the cost of medical expenses. Some work in different ways such as sometimes instead of sending premium payments to the ministry, they are sent directly to someone in need. Often times the member is required to negotiate the cost of services with the provider and pay for services up front then get reimbursed by the other sharing members. Some health shares have a maximum of $125,000, which is not enough for most major services. Also, because it is not considered insurance there is NO guarantee of payment and the ministries are not required to have a cash reserve like insurance carriers are required to have, nor do they have protections from a state insurance commission. The Pro-Life Health Plan is a hybrid of an indemnity plan and the Christian Health Sharing Ministry. You get the benefits of being exempt from the tax penalty for being a member of the ministry plus the any all coverage provided by the ministry. You also get insurance protections afforded to you by insurance carriers, as well as coverage usually up to $5 million dollars, and the benefit schedule as outlined by the carrier. Combining the two creates a well-constructed benefits package that is affordable, legal and offers you the ability to choose any doctor or any hospital. With the Pro-Life Health Plan, you can get the coverage you need a price you can afford, without having to pay for the ACA benefits that you do not need. 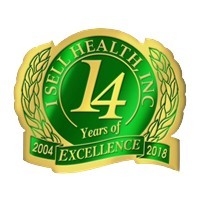 Eric Wilson is President of I Sell Health, Inc. and an authorized representative of the Pro-Life health Plan.